pharmaphorum’s Assistant Editor, Hannah Blake, shares her personal highlights from the month of June, including themed content for our emerging markets focus month, as well as other development news from behind-the-scenes at the leading facilitator of thought leadership and innovation within pharma. This month’s emerging markets theme has really opened my eyes to some of the many different philosophies around the world. For example, did you know that the number four is unlucky in some Asian cultures? And that the acceptance levels of biosimilars by physicians and patients are much higher in emerging markets, compared with the rest of the world? Or that in the Navajo language, the translation of the word diabetes is actually “sugar illness”? Our expert authors this month have truly outdone themselves, providing fascinating thought leadership articles surrounding the developing markets of China, Korea, India and Latin America, to name a few. • Don’t miss our video discussion between Boehringer Ingelheim’s John Pugh and the founder of The Social Moon, Alex Butler, on the different perspectives of gamification. • Patient advocate, Regina Holliday, is interviewed by pharmaphorum’s Managing Editor, Rebecca Aris, for our “patient perspectives” series, about her campaign for 24-hour-access to individual medical records. • In line with our emerging markets theme, Irene Agnew writes about the importance of the healthcare industry understanding the different language and culture barriers around the world. • Monthly contributor, Daniel Ghinn, compares social media sites in the West to those in the emerging markets, such as China, discussing the different laws and legislations around censored online networking. • Fard Johnmar starts off his “back to basics” series by explaining how a people-first perspective is a much better way for pharma and health marketers to reach a wider audience through their digital health content. • We interview Dr Andrew Doan for our latest “physician perspectives” series about his inspiration behind his book, The Biggest 24, and his thoughts on how to overcome the challenges physicians face when using social media. 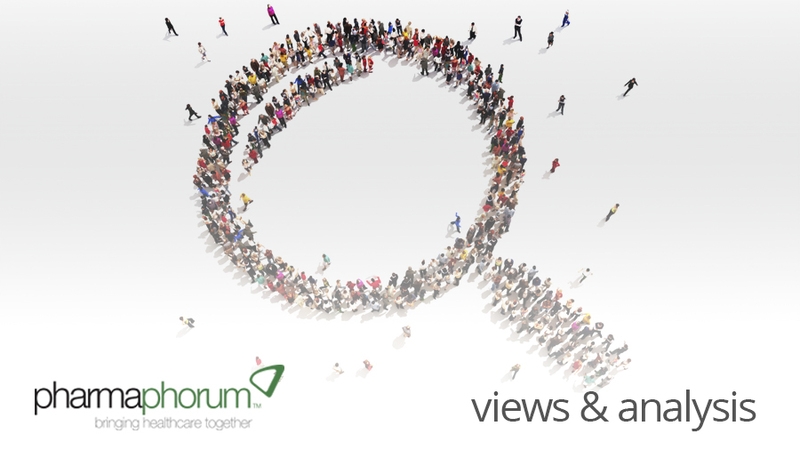 Drum roll please…this past week you may have noticed that we have begun to publish news on pharmaphorum. Our ongoing aim is to provide you with even more pharma and healthcare content each day, and we hope that this week’s news really starts the ball rolling. If you have any press releases you think would relevant to our audience, please do send them over to press@pharmaphorum.com for consideration. Bigger drum roll please…plus, as some of you eagle-eyed readers will have spotted, our main toolbar has changed slightly this month, to include our brand new Global Pharma ShowcaseTM. What is this showcase, I hear you ask? Well, it’s the place to find the right service provider and career opportunities from all round the pharma globe. Conversely, if you are looking to find new pharma clients or recruit the best talent, why not add your company or jobs? This weekend marks the beginning of July, which not only means summer has officially begun in the UK (we can live in hope), but that from Monday we will be starting our new content theme: clinical trials. We have some interesting themed articles already lined up, including an interview with a member of Johnson &amp, Johnson’s clinical trials team, an article exploring the global challenges of clinical trials and one discussing the underrepresented in clinical trials, as well as all of our regular series. Would you like to contribute to our clinical trials month?